Rodriguez (formerly Montalban) is located at the foothills of the Sierra Madre mountain range, along the Wawa River, which means some 10 to 30 minutes of trekking is required (depending on location) before you can get to your desired climbing destination. But once you've found your crag, get ready for some limestone-pulling to test your technical climbing skills – surely not for the gym rat. Brgy. 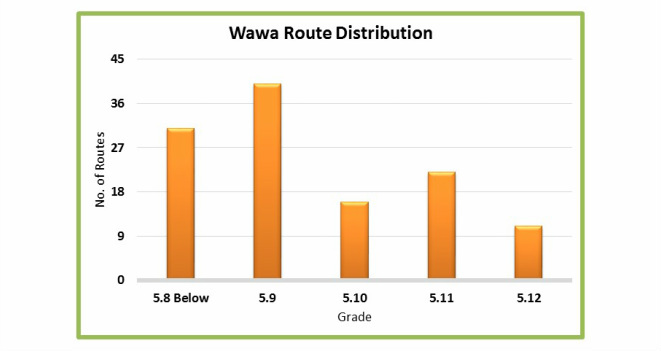 Wawa is the most developed sport climbing area in the country. It started as early as the 1980’s through the efforts of mountaineers from the University of Sto. Tomas and University of the Philippines. From a few traditional routes, it has grown into more than 20 crags with over 100 routes in total. In the span of 30 years, it has also seen many access issues, with some crags situated in privately-owned lands. As of 2009, Rodriguez has been opened up to climbers, bikers and vacationers through payment of minimal fees. Hopefully, this arrangement will be here to stay. There are two ways to get to Wawa – one which goes from Cubao, Quezon City and goes through Marikina City – this route tends to have very heavy traffic though. It is recommended to take the route through Commonwealth Avenue. 3. You can take any jeepney heading Fairview and go down at Litex. Take the jeep to San Jose Market (P6). Take one more jeep to San Rafael (P3). All routes lead to San Rafael where you take one last ride into the dead-end road of Wawa. Aling Norma’s Eatery is a food stall (or carinderia in Filipino) where practically every Wawa visitor – climbers, mountaineers, trail runners, bikers – has eaten in. If it’s your first time climbing in Montalban, introduce yourself to Ate Malu or Ate Nene. While Aling Norma, their mother, has gone ahead of us, her two daughters carry on her legacy of being a friend and mother-figure to all visitors. Before heading out to the crag, please register your name & intended climbing destination in the Logbook kept at Aling Norma's Eatery. If you are affiliated with a club, group, or organization, write that down too. Settle the climbing fee of P300 per group, per day in the Brgy. Hall (Town Hall) office just across the eatery. If you bring your own vehicle, there is space for parking. Just settle your parking fee with any parking attendant. Remember to remember the name of whoever receives your money, so you don’t end up paying more than once. Meals are usually taken at Aling Norma’s, where the typical morning fare include lugaw (Filipino congee) with hard-boiled egg and mami (egg noodle soup), while lunch/dinner favorites are the fried chicken and pinoy-style spaghetti (noodles + ketchup). You can take sari-sari store snacks (banana, bread, hard-boiled egg or crackers) with you to the crags, but what most climbers do is eat a full breakfast and just finish the day with a late lunch/early dinner. Bring lots of water with you, especially when there’s no sign of cloud cover – the tropical sun will drain you pretty fast. After a day’s climbing, you can shower at Aling Norma's. You'll definitely need this refresher before starting your post-climb session of chitchat, videoke, San Miguel, and Red Horse. Be ready for river-crossing. Wear shorts or fold-able pants and bring sandals or rubber slippers. Watch out for the weather. When rainy and wet, some trails would merit a pair of tractioned shoes, where rubber slippers can be perfectly fine on dry days.